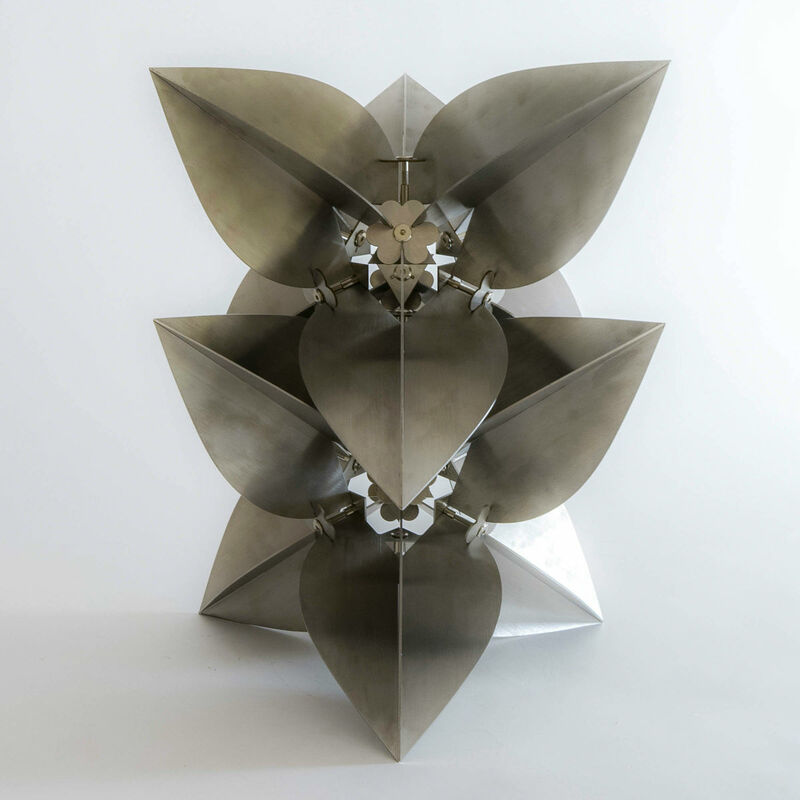 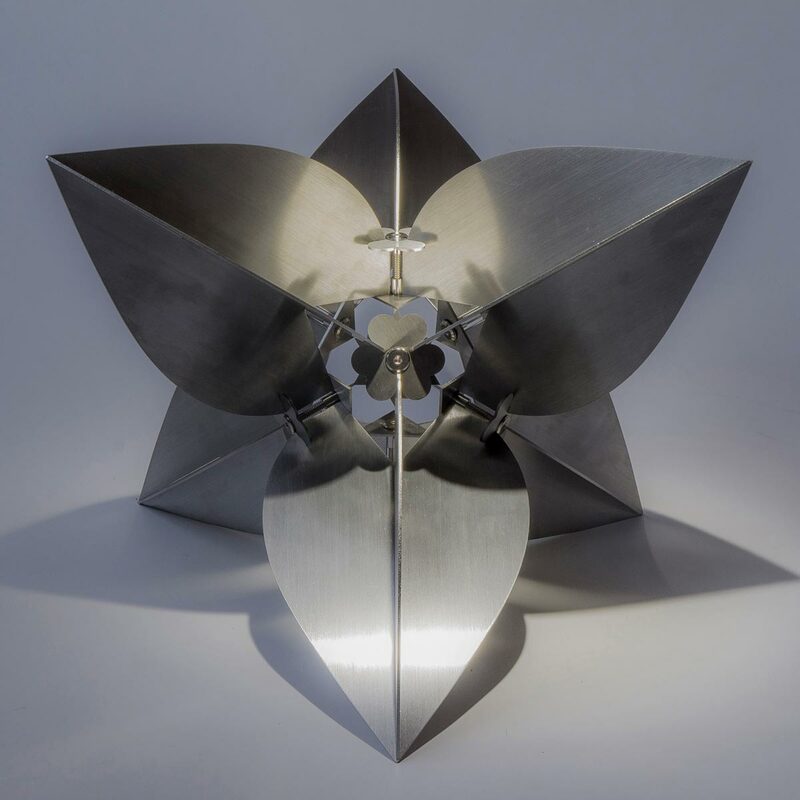 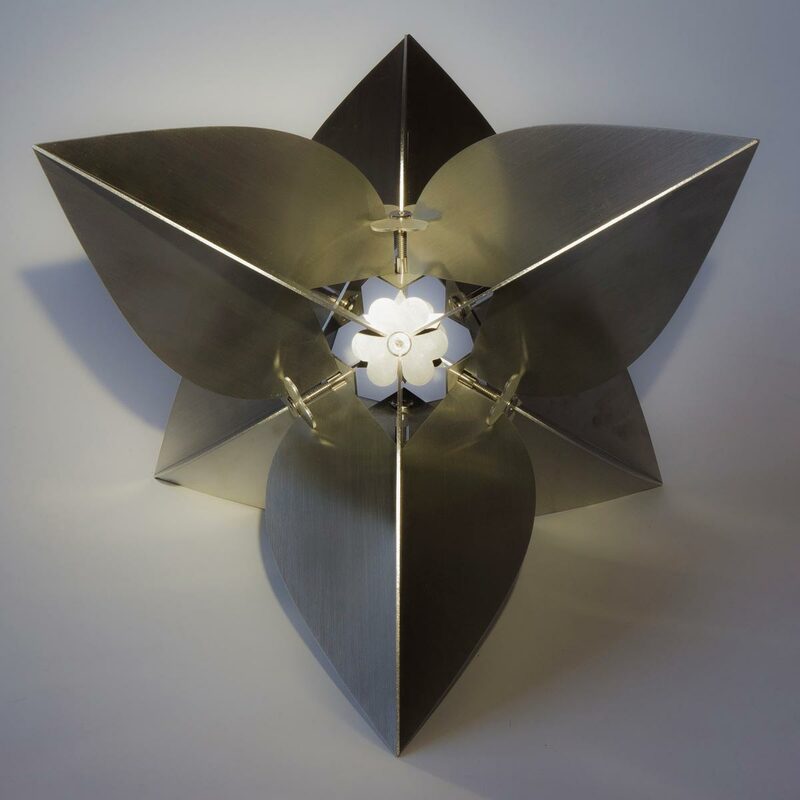 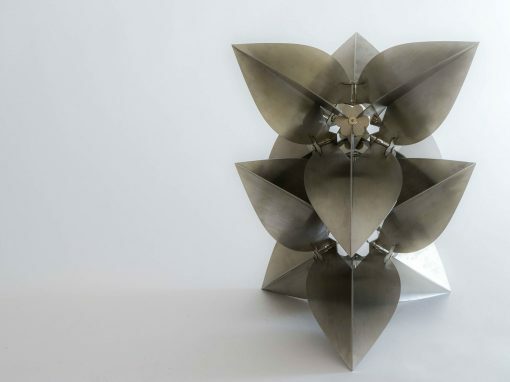 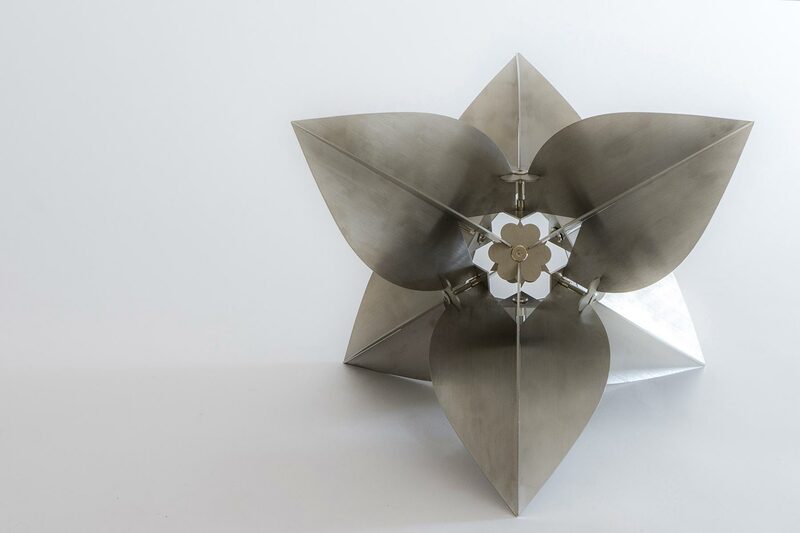 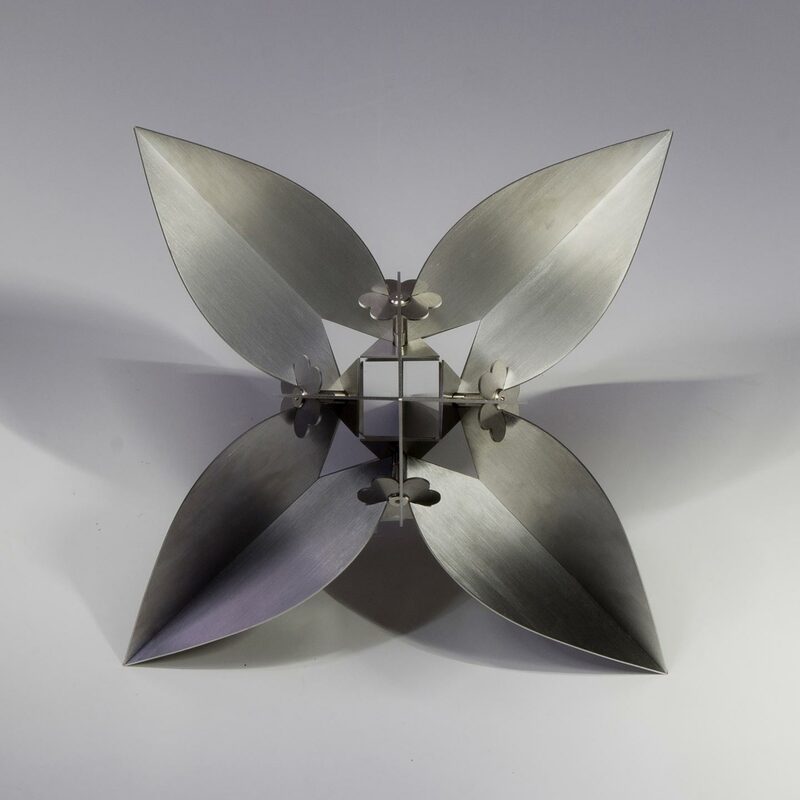 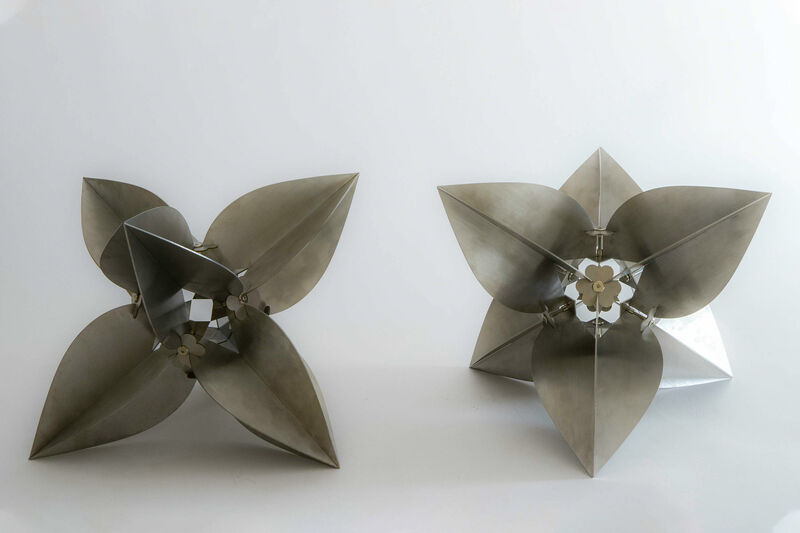 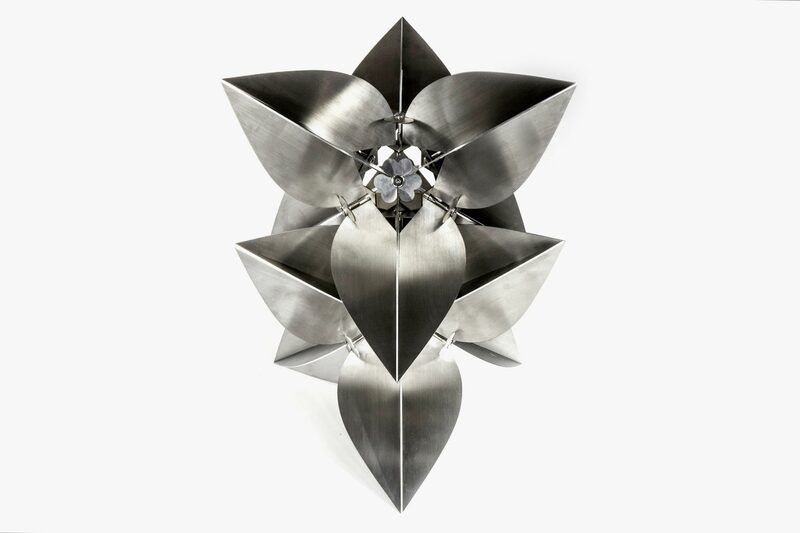 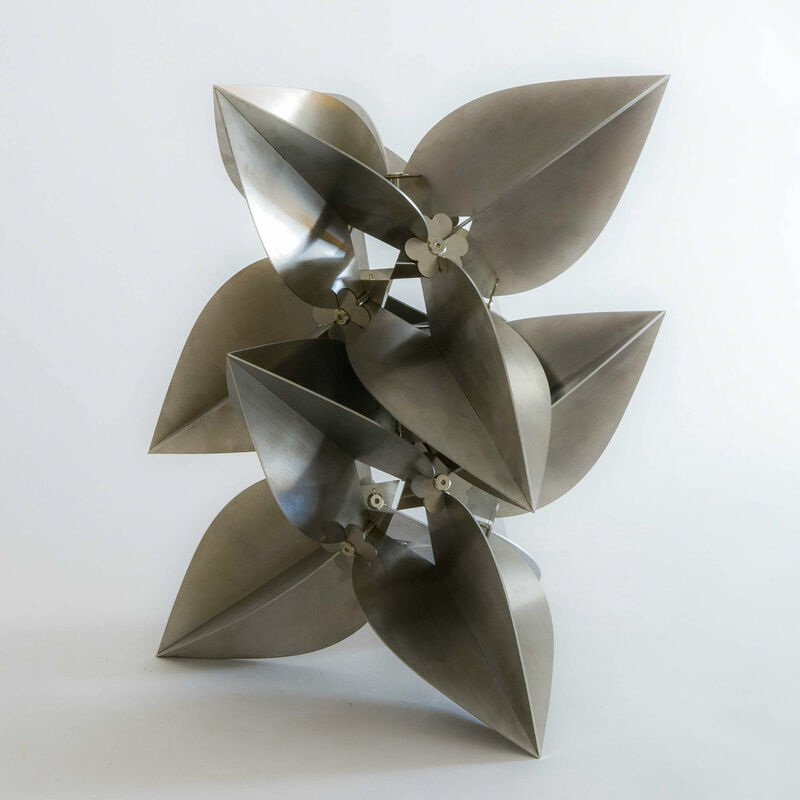 New for 2019 and specially designed to be presented at Zona Maco 2019, this stainless steel piece, conforms an apparent fragile, yet robust flower shape that reminds us of the bougainvillea, a typical three petal Mexican flower, used in Prehispanic medicine. 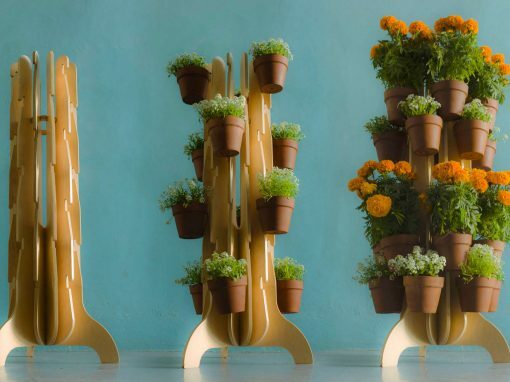 Bougainvillea trees can be found all over Mexico and, although we have become accustomed to see the grounds beautifully carpeted by them, their apparent simplicity hides the richness and perfection of Geometry. 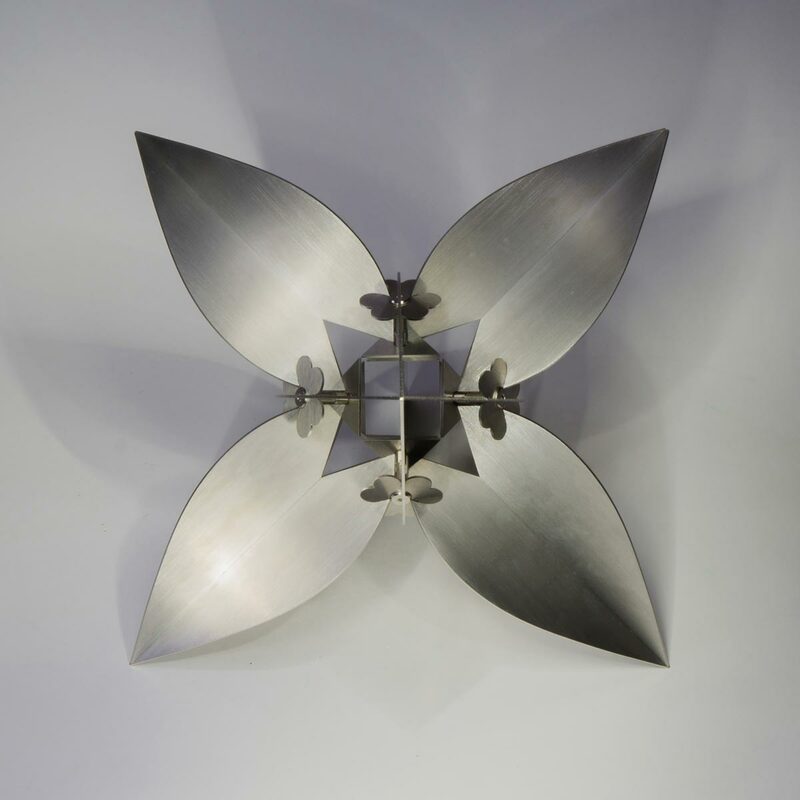 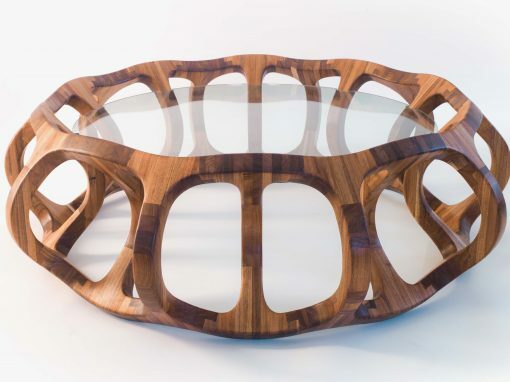 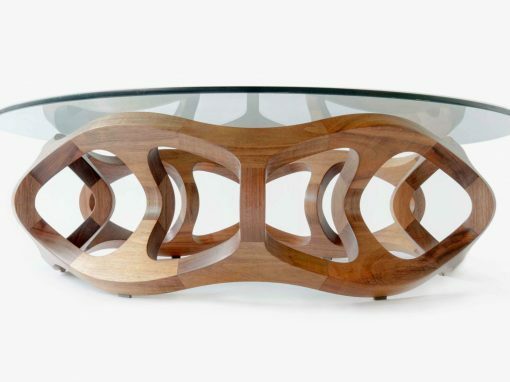 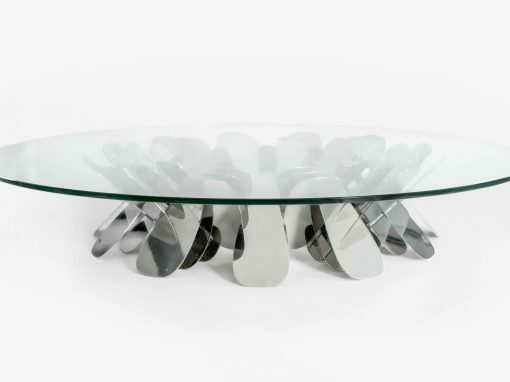 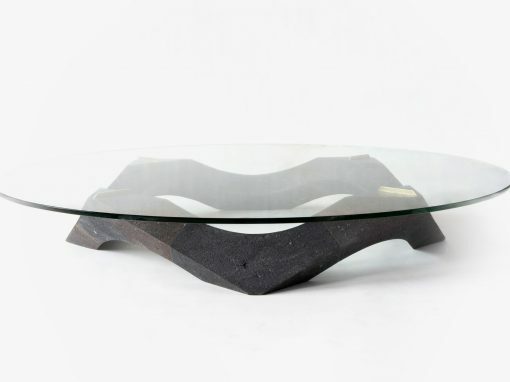 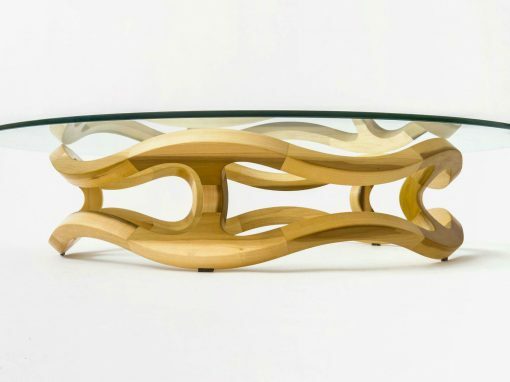 BUGAMBILIA, the Mexican name, can be embellishing or functional and presented individually or as a complex modular construction, stacked with other BUGAMBILIAS to construct new structures conforming a shelf or as a set of them sustaining a solid low center table. 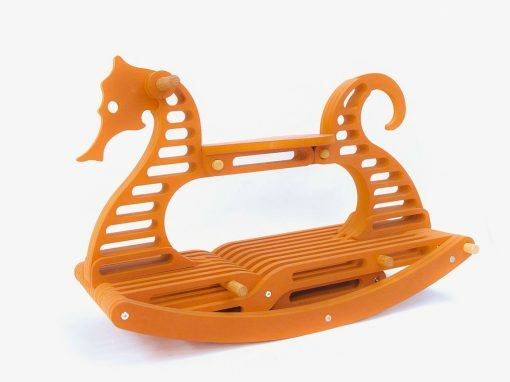 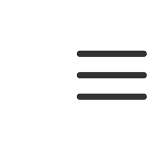 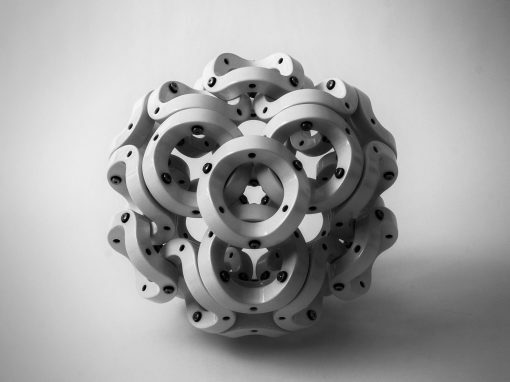 BUGAMBILIA invites the user to multiply, reconfigure and stack them allowing for playful reconfiguration.